Early War: August 2010 will see the first early war book, Blitzkrieg. 180 page book covering the invasions of Poland and France. This will be followed next year by the Africa theater and Russia. Late-War Italy: Dogs & Devils will be the next late-war Italy book. March 2011 will see a second book. Market-Garden: Airborne fans get a special bonus. 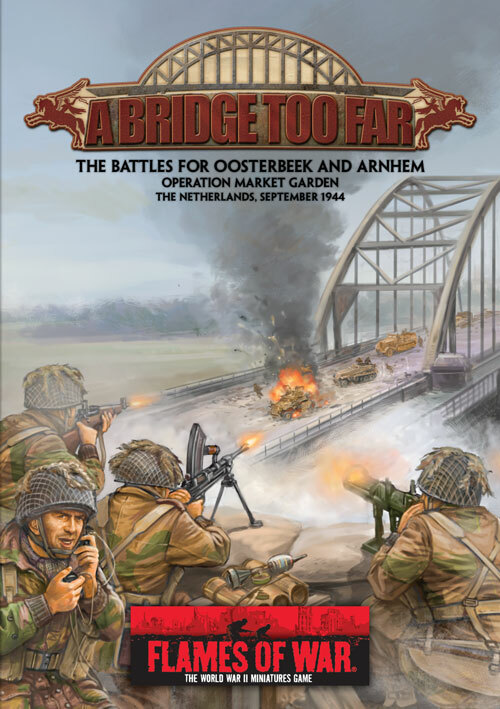 Not only is Firestorm Campaign: Operation Market Garden coming out in May but Battlefront’s first board wargame is also being released! 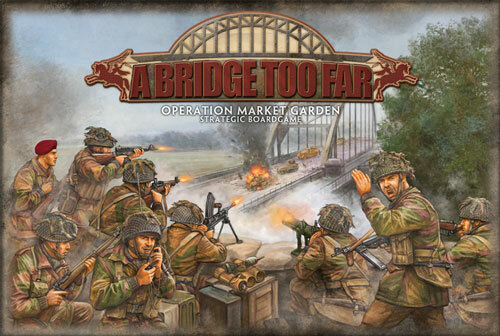 A Bridge Too Far: Operation Market Garden uses the Firestorm Campaign:OMG board and pieces but is a stand-alone game. Pacific: They have not ruled out visiting the Pacific theater in 2012.